How you behave with your investments matters a whole lot. In fact, investor behavior is one of the most important factors for reaching your long-term investment goals, even more than investment skill in my view and experience. It is hard to teach behavior, as any new behavior is typically learned over a long period of time and includes a lot of intentional action to turn it into a habit. Investor behavior is innate, hard to measure, and evolves over time. To illustrate how investor behavior works, take the story of Grace Groner. Grace was born in rural Illinois in 1909, orphaned at the age of 12, never married, and was a career secretary who started work during the Great Depression. Grace lived a peaceful and humble life in a one-bedroom cottage in Lake Forest, IL and never owned a car. In her first year working at her healthcare employer, she invested in her employer’s stock. Over the next 70 years, she continually reinvested in this stock through 13 recessions and many market corrections and wars. Though the most sophisticated investors would have sold their investments, Grace held her investments with strong intestinal and emotional fortitude. Upon Grace’s death at the age of 100, she left all of her money to her alma mater Lake Forest College. All $7.2 million of it. Everyone who knew Grace were baffled about her wealth and how she attained it. The truth is there was no secret model, spreadsheet, or algorithm used to amass her money. She did not trade in and out of her stock, time the market, sell it all due to poor quarterly earnings, watch CNBC’s Mad Money, or get frightened and sell due to a doomsday market pundit. Grace simply kept her eye on the long term, so time was her friend. Investing is not about what and how much you know. Rather, investing boils down to how you behave with your money. One way to measure the impact investor behavior has on overall performance is to view the difference between investment returns versus investor returns. Investment returns are what you see advertised that assumes you invest and then leave the money alone. You don’t react to news and sell and then buy another investment. Instead, investment return is when you purchase the investment and hold it. Investor returns, on the other hand, quantifies the returns experienced in the real world. 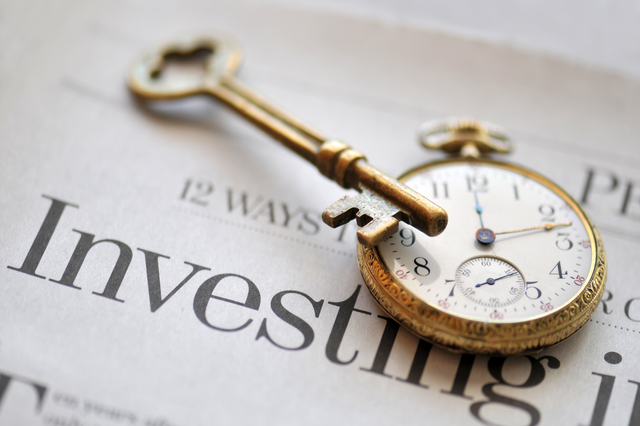 These returns are what you earn from buying and selling, switching to other investments, or selling during seemingly earth-shattering market events. The difference between investment returns and investor returns can actually be quantified. Dalbar, a market research firm, conducts an annual study to quantify investor behavior compared to investment returns available in the market. For as long as Dalbar has been conducting the study (which is over 20 years), the outcome has been the same: investor returns have consistently and substantially trailed the average investment return. As the chart below highlights, investor returns lag the typical investment return by about 5%, which is an enormous gap. So, simply put, most people lack patience when it comes to investing. Emotional decision-making and mistakes made by investors over time take a great bite out of investor returns. In the end, people make mistakes. Despite your best intentions, it’s almost impossible to eliminate behavioral biases that cause you to make bad investment decisions and therefore trail investment returns available in the market. There are many behavioral biases that can cause you to act irrationally and trail investment returns. These biases are unfortunately many and include mental accounting, herding, regret, and anchoring (more on these in a future newsletter). The conclusion is not that we can all be like Grace Groner and diligently stick with an investment plan for over 70 years. The key to investment success is not about skill as demonstrated by Grace Groner. It’s about focusing on a plan that’s simple, not complicated, and narrowing the behavior gap and capturing more investment returns.